Meta review: Most testers agree that this is one of, if not the best SATA SSD on the market as of 2018/2019, although the differences compared to the 860 PRO’s predecessor the 850 PRO are likely unnoticeable. What mainly separates the drives in Samsung’s PRO and EVO lineups is the memory type used. While the EVO drives uses more affordable and less durable TLC (triple-level cell) NAND, the PRO series is equipped with MLC (multi-level cell) NAND, which also performs better in general. 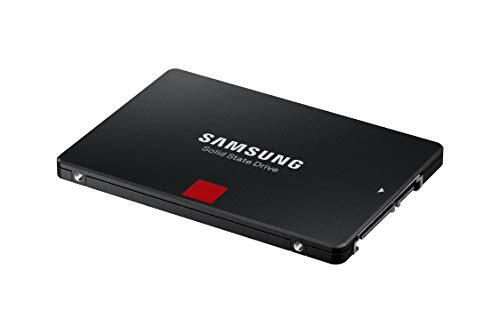 As of 2019, the Samsung 860 PRO is one of the more premium (and more expensive) SSDs available that use the SATA interface. Considering that the SATA interface is capped at 600 Gbps, this is an upper limit for SATA SSDs. If you have a recent computer with an empty, PCIe-compatible M.2 slot, drives such as the 970 PRO, WD Black 2018 or 970 EVO are considerably faster alternatives. 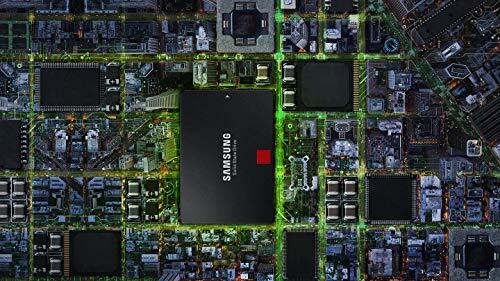 The 860 PRO uses Samsung’s own 64-layer MLC (3D) V-NAND. The ‘V’ as well as ‘3D’ in the naming means that the memory is layered, or stacked vertically. 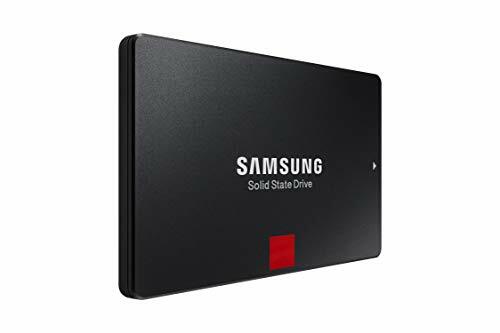 MLC, or multi-level cell NAND memory has been a part of Samsung’s PRO-series SSDs since the first generation. 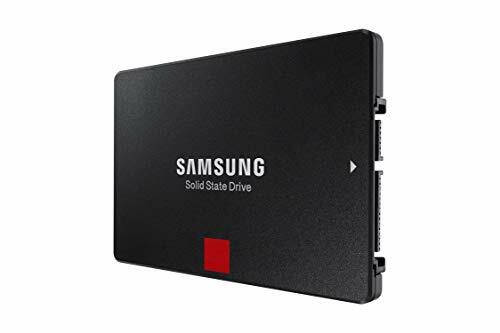 Today (2019) it’s one of few drives that still use this higher-end, more durable memory type instead of cheaper TLC (triple-level cell) memory. Samsung uses its proprietary MJX controller for the 860 PRO, which is also used in the 860 EVO. Unlike the EVO, however, it doesn’t have (or need) an SLC write cache – only an LPDDR4 DRAM buffer ranging from 512 MB to 4 TB of DRAM depending on capacity. 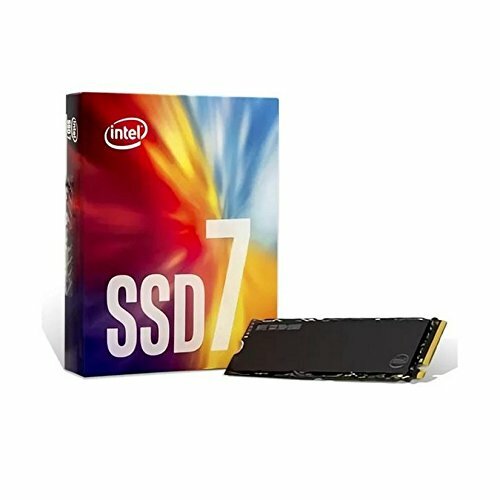 Compared to a 2.5″ hard drive, any SSD in the same form factor will usually save power and battery life. 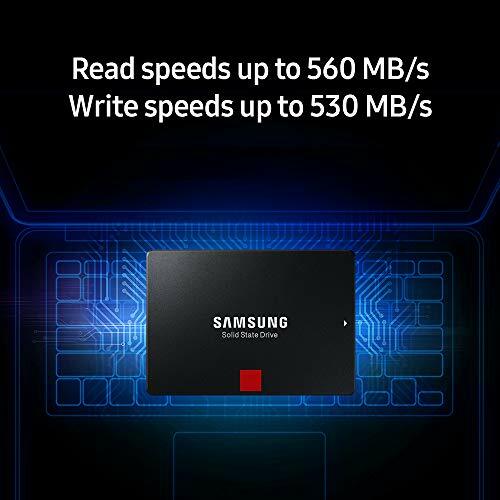 Like most SSDs, the 860 PRO’s power draw varies by capacity. Larger drives have more on-board memory chips and will therefore use more power on average. Consequently, the 256 GB variant is the most power efficient, consuming on average 2W up to 3.3W. At the other end of the spectrum, the 4 TB model consumes 2.2W on average, up to a maximum 4.5W. Idle power draw is 50 mW in all capacities, but ‘device sleep’ state (or DevSleep) ranges from 2mW (256GB, 512GB) up to 7mW (4TB). 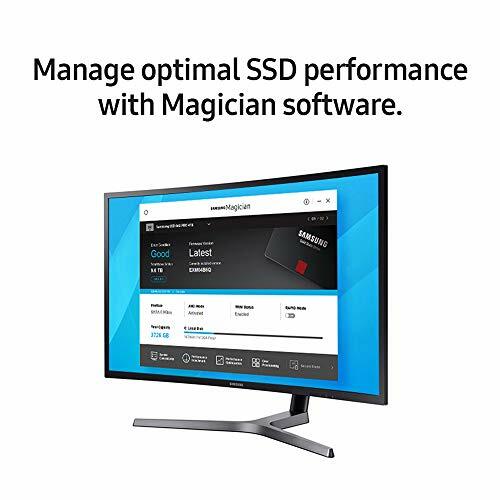 These figures make the 860 PRO one of the more power-efficient SSDs on the market (2019) and a good alternative to any 2.5″ laptop hard drive. 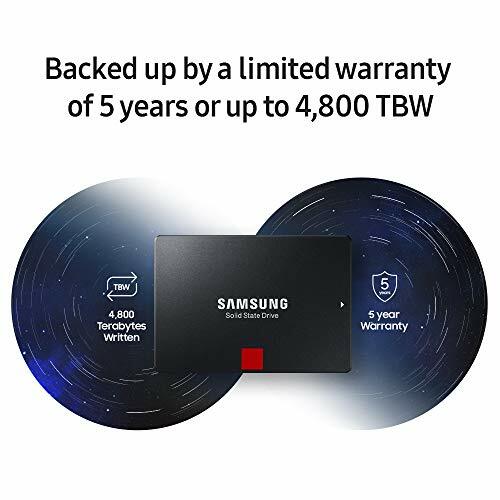 Like most SSD manufacturers, Samsung’s warranty includes a specific amount of terabytes written, or TBW, depending on the drive’s capacity. This does not necessarily mean that the drive will fail after writing this amount of data, just that this value is included in the warranty. 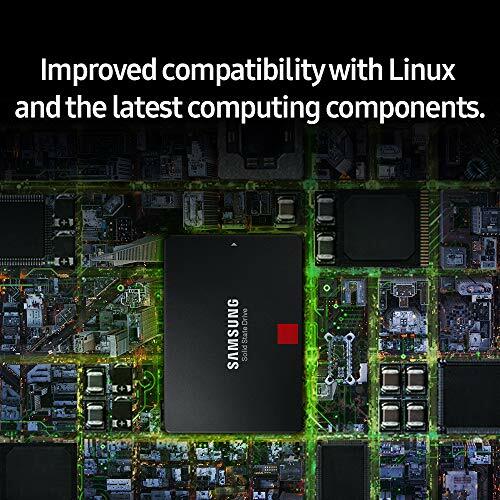 The Samsung 860 PRO includes support for standard AES 256-bit hardware-based encryption. It is also compliant with TCG Opal and IEEE 1667 (same as 860 EVO). 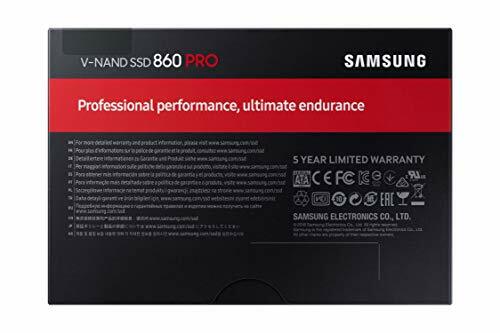 The 860 PRO offers only slight improvements over the performance of the 850 PRO, and the better competing SATA SSDs are now able to perform at or near the level of the Samsung drives. 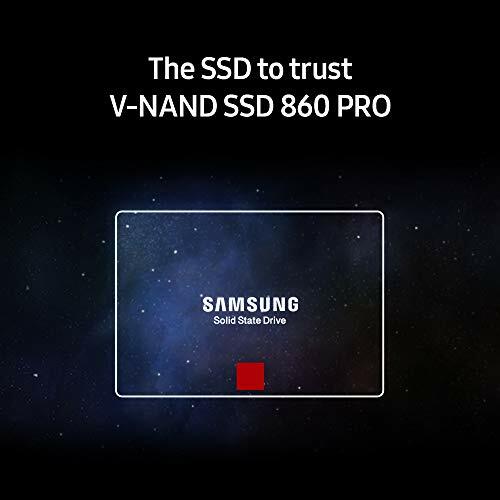 Equipped with the latest 512Gb and 256Gb 64-layer V-NAND, 8Gb LPDDR4 mobile DRAM and the brand-new, in-house MJX controller, the 860 PRO excelled in virtually every test we put it through and is easily one of the best-performing 2.5-inch consumer SSDs out there. 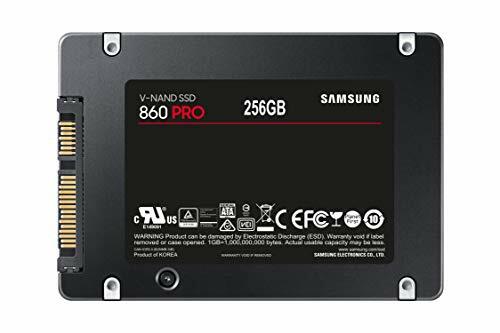 Samsung feels that the 860 Pro is their fastest SATA SSD to date. Our benchmarks clearly show that it is the best performing SATA SSD ever made; shattering lab records right and left. 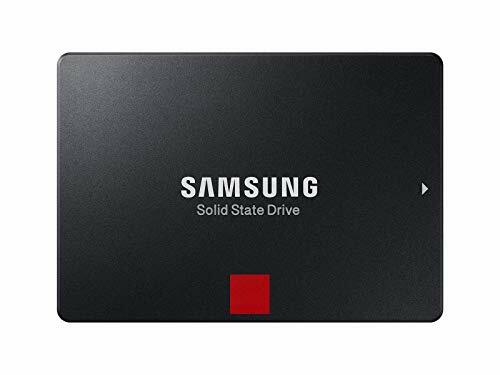 If you put a drive like this into your SATA 3 compatible laptop or SATA 3 compatible PC, you’ll have no idea what is about to hit you when comparing with a HDD. 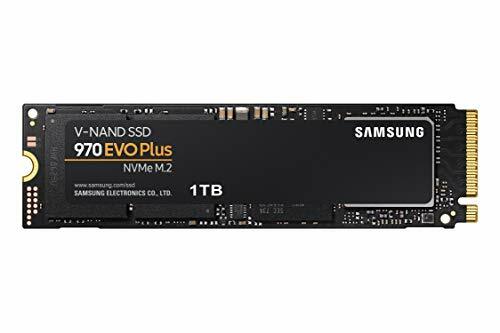 Meta review: Most testers agree that this is one of, if not the best SATA SSD on the market as of 2018/2019, although the differences compared to the 860 PRO's predecessor are likely unnoticeable.